Asus showed off its Windows Mixed Reality headset at IFA 2017. 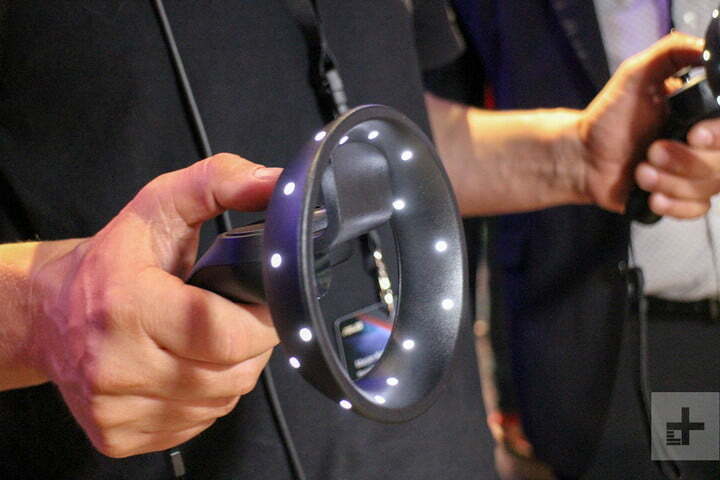 The device is part of Microsoft’s effort to bring virtual reality to the masses, which will see the company collaborate with a number of other manufacturers to launch new hardware. We saw a glimpse of Asus’ headset at Computex 2017 in May, but now the company supplied some more information on what to expect from the device. It weighs just 400 grams, and utilizes a balanced-crown design to reduce pressure on the nose and face, ensuring that users are comfortable even when wearing it for long periods of time. 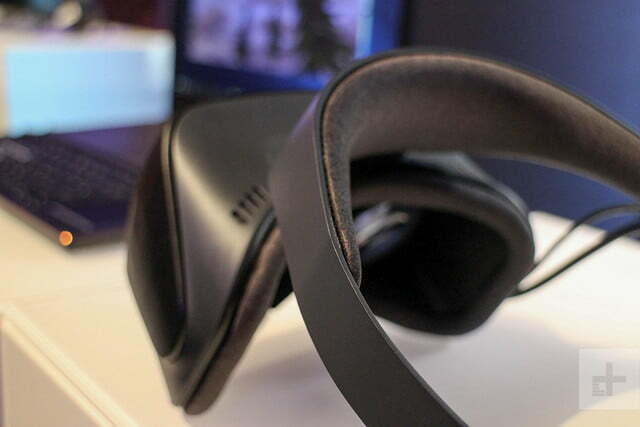 The headset has an unusual design, with the visor covered in hundreds of polygons sporting a tone-on-tone effect. The inside is coated with antibacterial cushioned materials to keep things hygienic. The headset has an unusual design, with the visor covered in hundreds of polygons sporting a tone-on-tone effect. Like other recently announced Windows Mixed Reality headsets, Asus uses inside-out tracking that hinges upon two built-in front-facing cameras, which offer six-degrees-of-freedom positional tracking. The headset does not require any external sensors, or even any additional software to take care of the setup process, which the manufacturer claims will make it much easier for users to get up and running right away. A big part of Microsoft’s plan to promote augmented reality involves making the technology accessible and easy to use. 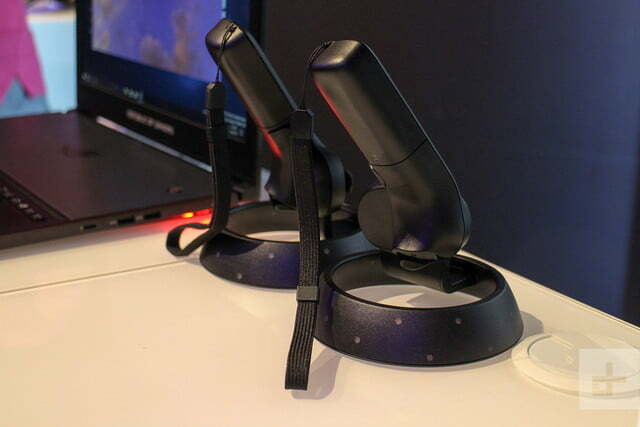 The plug-and-play aspect of Asus’ headset certainly seems to be inspired by this idea. The company did not announce a firm release date, or details on pricing and specifications, such as resolution. 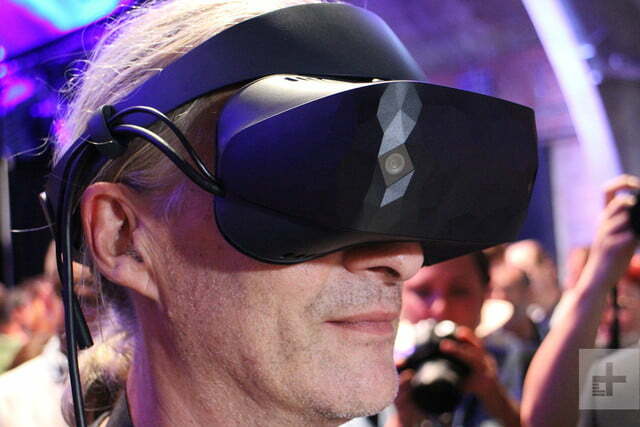 However, all signs point toward the first wave of Windows Mixed Reality hardware — including Microsoft’s own headset — launching before the end of 2017.